Preheat the oven to 350 degrees. In a large bowl cream together the sugar, eggs, butter and vanilla until light and fluffy. Add the dry ingredients and mix until combined. Drop by tablespoonfuls onto a greased or lined (silpat or parchment) baking sheet. Bake at 350 degrees for 9-11 minutes, until the cookies are set but not overly browned (bake a few minutes longer for a crispier version). 2. In a large bowl, stir together the olive oil, lime juice, garlic, red pepper flakes, cayenne pepper, chili powder, mustard, and pepper. Add the potato slices, and stir until evenly coated. 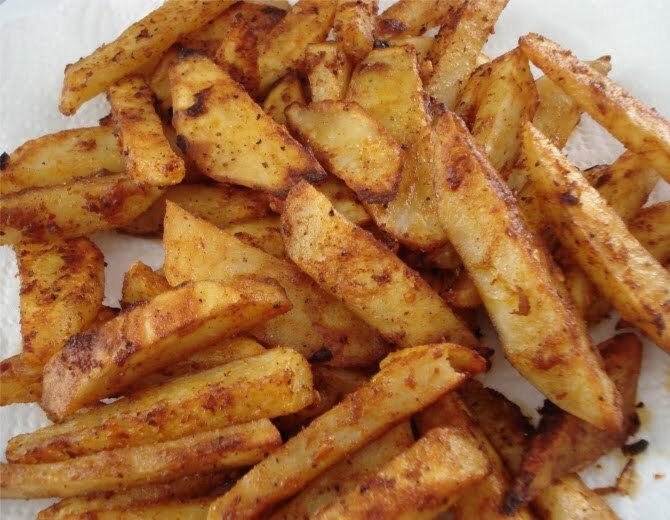 Arrange fries in a single layer on a large baking sheet. 3. Bake for 20 minutes in the preheated oven. Then, turn the fries over, and continue to bake for 10 to 15 more minutes, until crispy and browned. Season with salt, and serve. In big mixing bowl, sift all dry ingredients together. Add warm water until sticky  approximately 2-3 cups of water. Add additional flour until able to handle without sticking to hands. In heated cast iron pan, fill half full with vegetable shortening or olive oil. Heat oil until slightly smoking. Roll out dough into balls the size of fist. Flatten balls till fourth of an inch thick. Put hole in middle of dough. Place in oil and cook until golden brown then flip and repeat. Makes approximately 20-30 fry bread. For Navajo tacos  place taco beans/meat mix on top with lettuce, tomatoes, cheese and other favorite toppings. 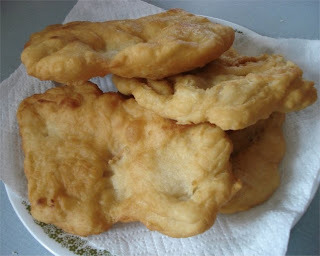 Additional toppings for fry bread  honey, honey butter, powder sugar, jam, or cinnamon sugar.